More Trolley images. 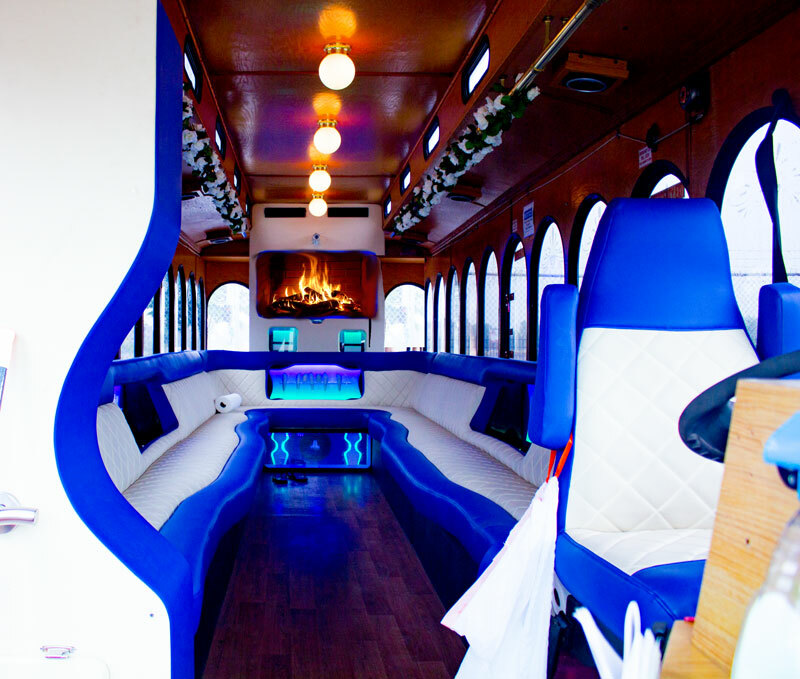 Rent a trolley limo for your Wedding. Our fleet is exactly what you see – no bait and switch like some of our competitors. Our Trolleys give you that classic 1920s streetcar look but we have made improvements to give you modern day convenience (like upgraded heating and cooling systems, HDTV, sound system, etc.). 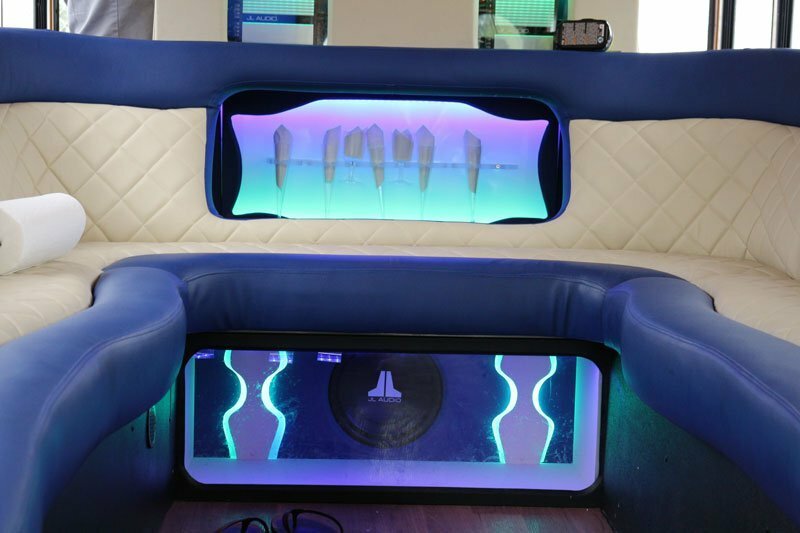 Our limo bus has all the upscale amenities you’d expect – leather seats, premium sound and entertainment system, and a bathroom (a rarity for Chicago party buses). Check out our Fleet page for pictures and more information. 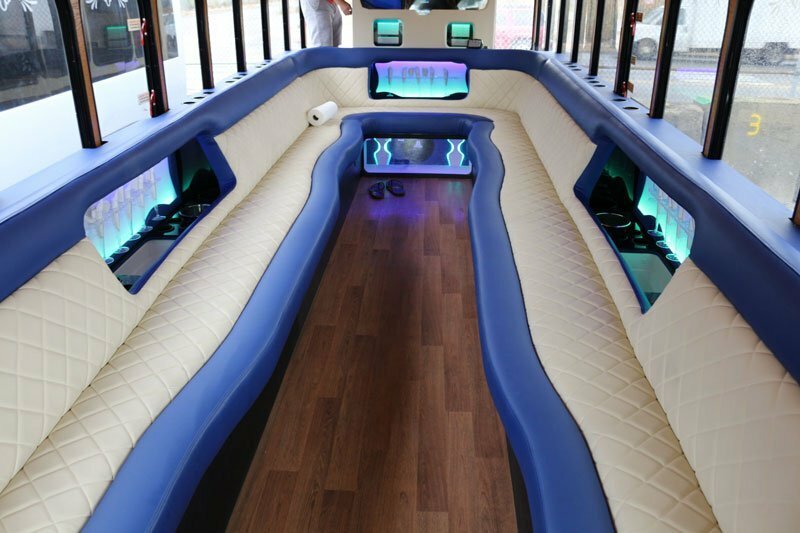 5 Star Limos knows that when it comes to trolley rentals in Chicago for your wedding day, you need elegant, timely, and professional transportation. On-time guarantee. Our vehicles arrive at least 15 minutes before their scheduled arrival, and often times before that. Complimentary ice, water, sodas, mixers, and coolers. You are allowed to bring your own alcoholic beverages on board, so long as everyone is at least 21 years of age. Fully stocked bar-ware and cocktail ware. From rocks glasses to shakers to cocktail napkins and straws, we’ve got you covered. 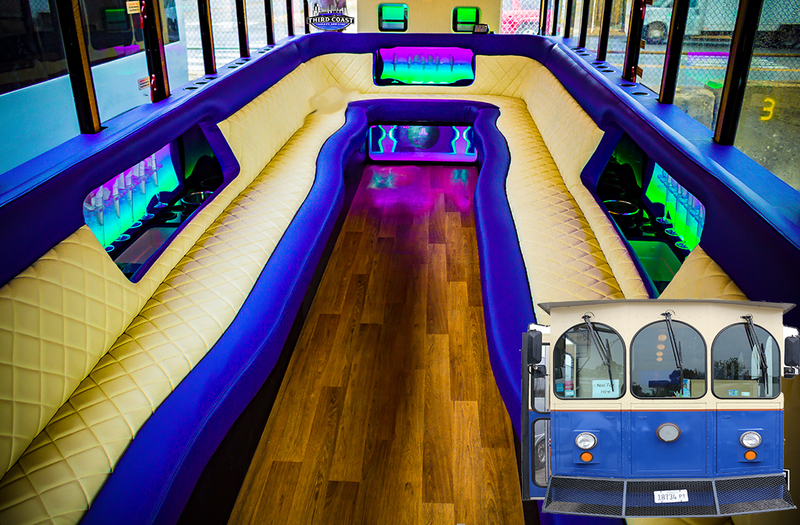 Fully customized interior to match your wedding colors / theme, including pre-loaded slideshows to display on HDTVs. The exact vehicle you see in the pictures. No substitutions or bait and switch. Dedicated “Wedding Transportation Planner” to work with you to coordinate all decorations, lighting themes, music, slide shows, and travel related items (routes / stops) in advance.